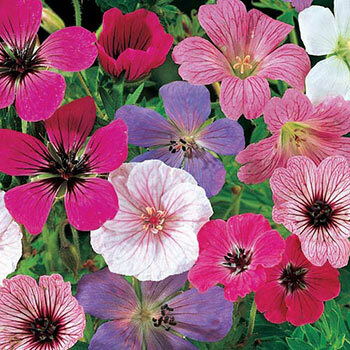 Tough and reliable Hardy Geraniums are versatile perennials that produce masses of flowers on easy-care plants. Colorful blooms and patterned foliage look lovely in rock gardens and borders. They naturalize well and return bigger and more beautiful every spring. Foliage Type: Deeply lobed, grey-green foliage.